Worked a complex lode carrying copper, arsenic, silver, wolfram, tin, and pyrite, intermittently over many years and under a variety of names. Wheal Martha (1836), Great Wheal Martha (1844-49), New Wheal Martha (1861), and in combination with other adjoining properties, New Great Consols (1867) and finally New Consols. 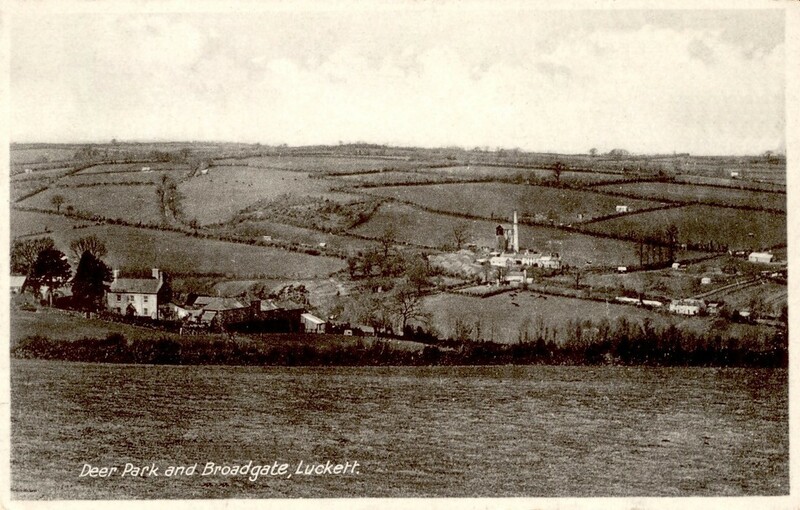 "In 1946, just after the end of the Second World War, an attempt was made to re-open the old mine of Wheal Martha, later known as New Consols, Luckett, near Callington, Cornwall. The mine suffered many setbacks after the reopening, and though, at one stage, Russell was called in to advise and became associated with it for a short time, the venture, as he himself had feared, proved abortive, and the mine was abandoned in 1952." Embrey, P.G. (1953) Note on the occurrence of beryl and löllingite at the New Consols Mine, Stoke Climsland, Cornwall. 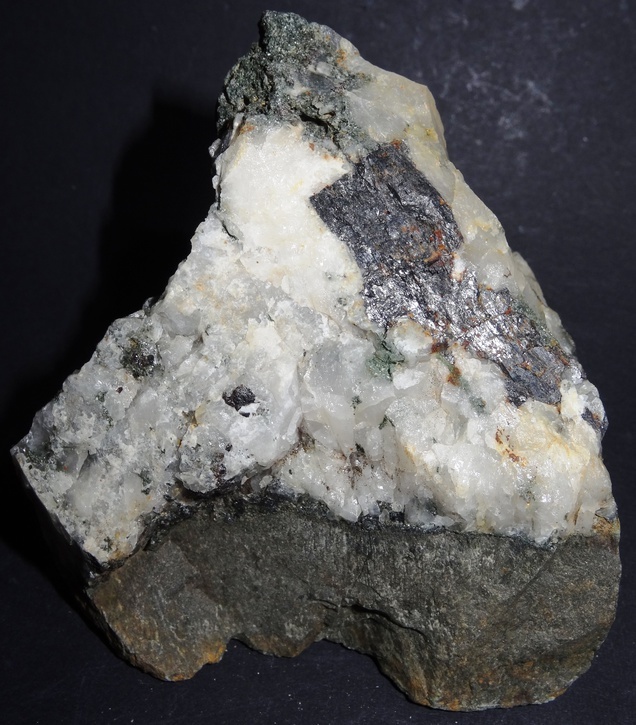 Mineralogical Magazine 30, 259–262. Dines, H.G. (1956) The metalliferous mining region of south-west England. HMSO Publications (London), Vol. 2, pp. 650-651 (also see addenda in the 1994 reprint). Hamilton Jenkin, A.K. (1969) Mines and Miners of Cornwall, Vol. 15: Calstock, Callington and Launceston. Federation of Old Cornwall Societies (Penzance), 68 pp.